Winter got you down? We have the one-word antidote for cold weather: Maui. Sure, you may see some snow during this trip — far atop Haleakala, a 10,000-foot volcano. 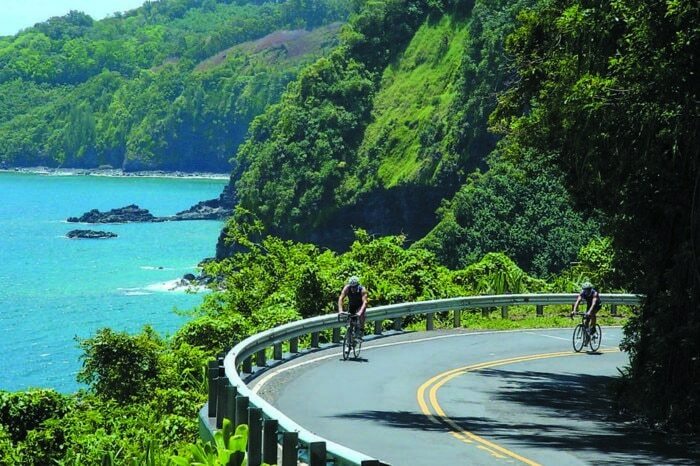 Otherwise our Maui, Hawaii road bike tours are all about pedaling through paradise. Pick a month from December through March and you’ll experience riding along more than 100 miles of tropical coastline dotted with lagoons and rainforests. After a day in the saddle relax in a private beach house. Aloha!